If you’re a business owner, you may already know the importance of getting online reviews. It can help both your search engine ranking, AND new customers’ first impressions. Most consumers trust online reviews as much as personal recommendations when considering a new business for products or services. By not having online reviews, you are denying 90% of your potential customers the information they consider important for making a purchase! You should get reviews on Facebook, Google and Yelp. 85% of consumers report reading online reviews and 90% of customers say their buying decisions are influenced by online reviews. 67% will read 6 reviews or less before they form and opinion about you or your business. Online reviews make up 10% of how Google and other search engines decide to rank results. Create an email blast that lists all the different sites customers can review you with links. Train your staff and yourself to “make the ask” upon the completion of the transaction. Clients are more likely to recommend you immediately after the close of the transaction. Where do I find the link to give someone to review my business on Google? 1. 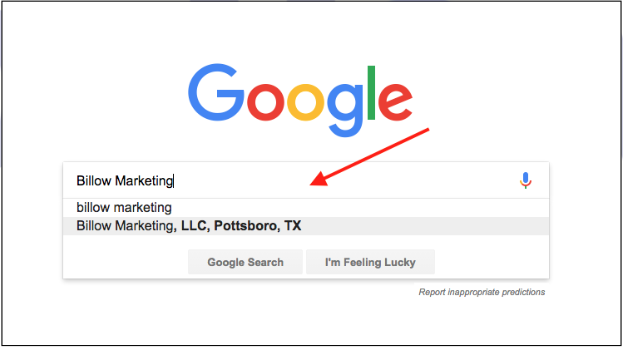 In Google search box, type in the company name. The listing will show up on the right hand side. Make sure you are not logged in. Click on the ‘Write Review’ button. When the pop-up window shows up, copy the URL at the top. That link is too long, so let’s shorten it in the next steps. Paste the URL you copied in the box, then click on the box next to ‘I am not a robot’. Go through the steps to verify you are human. Once verified, click on shorten URL button. Click on the symbol next to the shortened URL to save the link to your clipboard. Paste the link in a place you can refer back to. This will be the link you give to anyone you ask to give you a Google Review. If you’d like to learn more about how to give and/or get online reviews, let us know! We can provide very informative and easy-to-understand trainings in small group settings, or even one-on-one.